his Lansdowne Letters to his extended family. on the Friday mail plane on May 26, 1961. Supervising Principal of the Sioux Lookout Indian Agency. that he would be accompanying the mailbag out on the plane the next day. and tell you about the recent developments. that I got the job in Sioux Lookout. 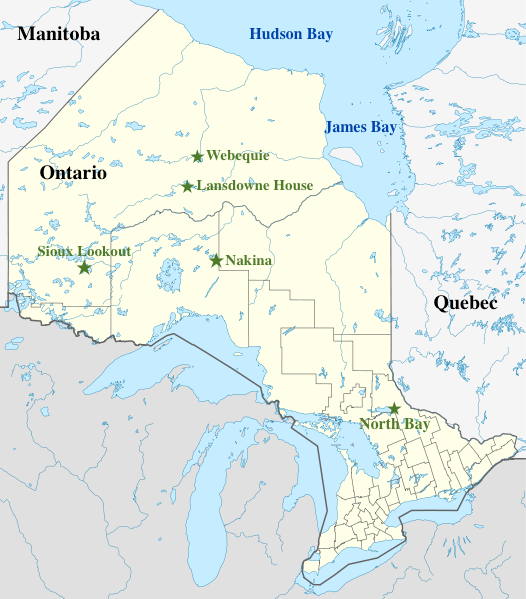 of the Sioux Lookout Agency. on the Austin Airways radio by Mr. Gowan. at Lansdowne House had hit the national press. for he wouldn’t tell me what I was wanted for. 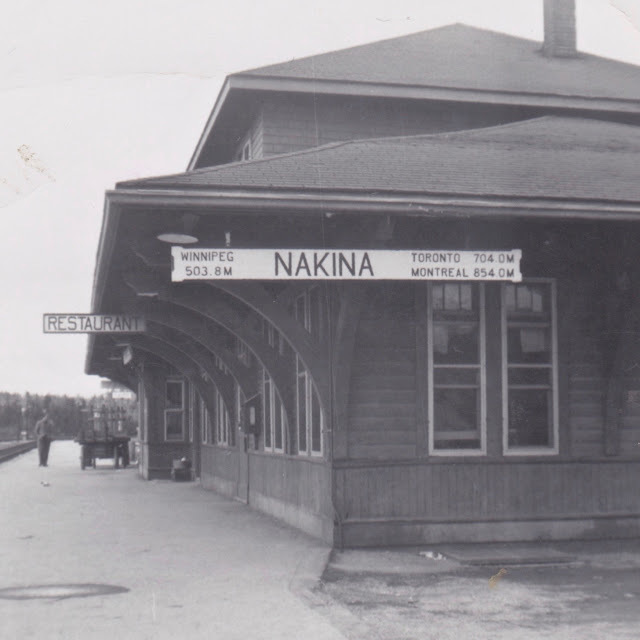 and that I would be informed of the purpose of my trip when I got to Nakina. the first train to North Bay, Ontario to meet a Mr. Waller from Ottawa. He didn’t know why, but I’m sure he thought I was in some sort of trouble. for I didn’t expect the job interview to take place till July. on the train from Nakina to North Bay. for it is an all night trip, from 8:45 pm to 9:45 am. It was one of the most miserable and anxious trips which I have ever experienced. 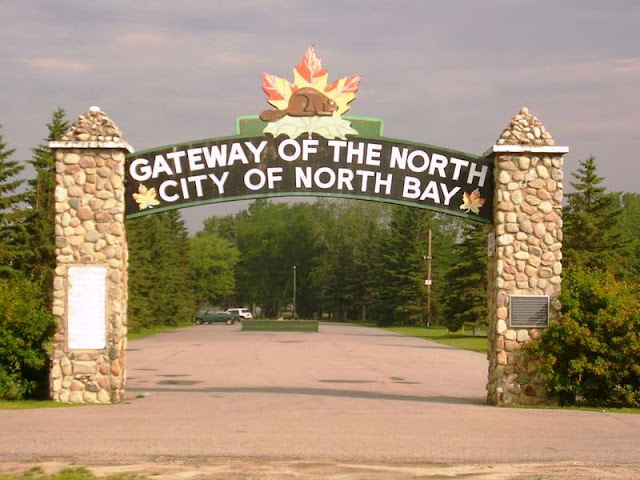 I did not know whether I was being called to North Bay to be fired or promoted. I fully expected the former, but was fervently hoping for the latter. 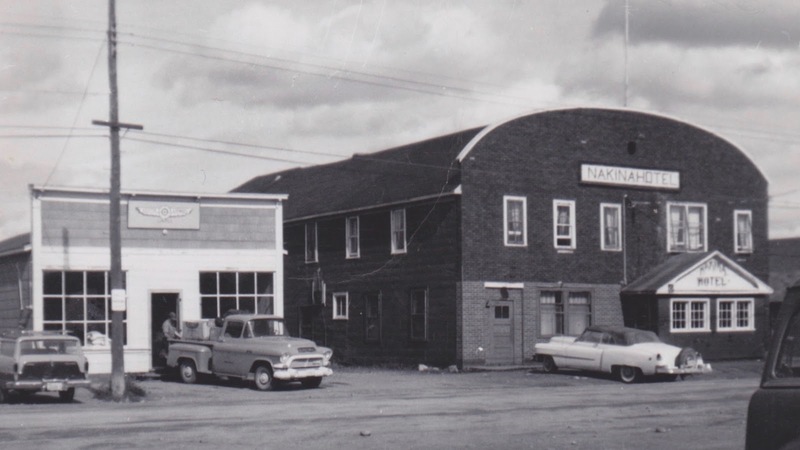 I arrived in North Bay and was met at the station by Mr. Waller and Mr. Shaw. of the Indian Affairs Branch, and he is in charge of personnel. Mr. Shaw is the Regional School Superintendent for Northern Ontario. You can see that I wasn’t interviewed by just a couple of minor clerks. “Are you still interested in Sioux Lookout, Mr. MacBeath?" and he said, “Good, then you can consider yourself hired." The rest of the time was spent telling me about my duties. I will be starting my duties as soon after the first of July as I can. that I would be taking up my new duties until September. in the latter part of August, if things aren’t too busy. My salary will be approximately $7000.00 to start. supervising about 35 teachers in about 20 different schools. and will be responsible for the administration of the schools in my area. This involves seeing that they are equipped with the necessary supplies, etc. and I think I may have something to do with the hiring of the teachers, etc. I will be expected to demonstrate proper teaching methods. I just hope I never have to show them how to type or spell. The job involves a lot of travelling and the great majority of it will be airplanes. Only one of my schools can be reached by train and none by car. I will be away from home about a third of my time. as soon as I can to get acquainted with the set up. for a couple of weeks this summer to learn the ropes up at H.Q. at North Bay with Mr. Shaw learning how the regional office operates. so I’ll just sign off for tonight and continue this tomorrow evening. I don't remember my father's sudden departure and quick return. and we were busy and happy being kids. for allowing me to have a carefree childhood. Sure must have had plenty of thoughts running through his head until he realized what it was. Sounds like a job with a ton of tasks indeed. Traveling to and fro all the time must have got exhausting. But would be fun to see all the spots. Carefree childhood is sure the way to be, be nice if all kids had it and some parents weren't idiots. Happy Friday, Pat! I'm back at the Apple Store where I have dependable internet and can work on a side project while going online. Traveling frequently on bush planes is exhausting. 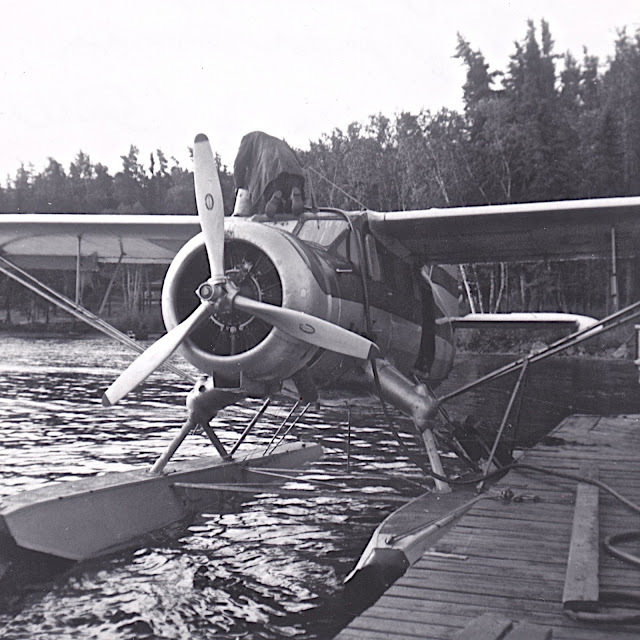 I remember one time when he flew up to Big Trout Lake on an overnight trip and got snowed in for six nights. Five of the pilots he regularly flew with died in plane crashes. Tough territory. I hope that you don't get hammered badly by the storm hitting the Eastern Coast. I met a lady from Halifax this morning at hula class, and she said that snow was expected to hit Halifax. Stay warm and safe! I had to smile at their sheltering of you kids. I do that too. Let kids be kids. Hi Sandi! Thanks for your comment. I realized as I read it that I should have addressed why my father was so worried. 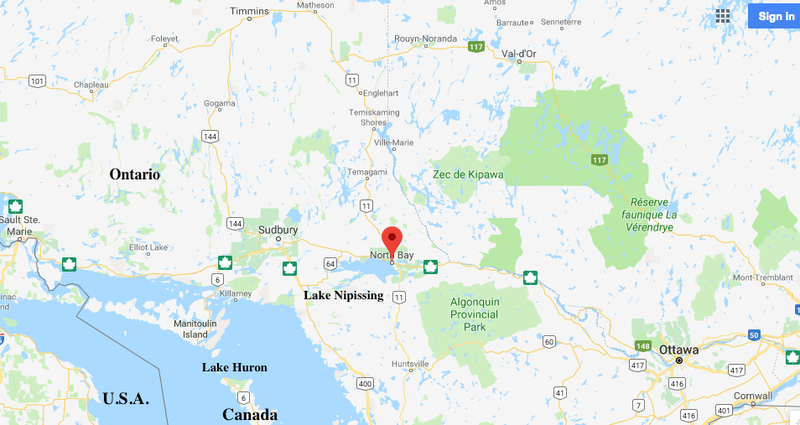 Since I had told the story in a post a while back, I thought my father's mention of the Canadian press story would be enough. Wrong ~ obviously! The reason my father was worried about being fired was because of me. 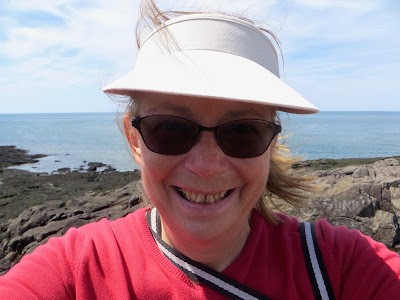 I had organized a Red Cross project in my classroom in Nova Scotia before going North. We gathered five cartons of winter clothing for the Ojibwa in Lansdowne House, after I shared letters of my father's discussing the horrible living conditions of the Ojibwa in Lansdowne House. Just as we were leaving to move North, my teacher sent the cartons to the Red Cross in Halifax. The Red Cross contacted the RCAF Maritime Command. Because of the apparent urgency in Lansdowne House and the fact that my father was a former RCAF officer, the Commanding Air Officer airlifted the cartons to RCAF Transport Command in Southern Ontario. Concurrently a newspaper story in The Digby Courier about the Red Cross Project and the horrific situation in Lansdowne House, went on to The Halifax Chronicle Herald, and from there it hit the national Canadian Press. The story morphed into the Canadian Air Force parachuting supplies into Lansdowne House because the situation was dire. It lead to a politically embarrassing situation for the Indian Affairs Branch and the Department of Citizenship and Immigration, eventually reaching Parliament. Because my father through his letters via me had caused the scandal, my father nearly lost his job. At this point in time, my father still didn't know if he would be fired or promoted. I haven't finished the story of what happened next with the clothing. That's for a future post. I hope this clears it up a little! Kids definitely need to be kids! Have a good one! Wow...that is incredible. Little did you know the "power" you had. :) It's funny, but amazing...and I'm glad he didn't lose his job! At least he was pleasantly surprised. Since you kids had no idea what was going on, it's a good thing he sent so many letters. Hi, Alex! It is a good thing Dad wrote those letters. I'd be sunk without them and other family papers. Why wasn't I together enough to be tackling this 40, even 30 years ago? If you knew the story of my whole life, you'd understand why ~ LOL! My life was anything but ordinary until my mid-30s when I married Terry and became a teacher. I love ordinary!!!!! Have a great weekend, my friend! An exciting development! Looking forward to upcoming posts! Loved your reference to "carbon paper, the technology tool of the day," LOL! How I hated wrestling with that blue demon! Thank gawd the xerox machine got invented! Thanks, Debra! Oh Lord, I hated carbon paper, especially when I made a mistake and had to correct all the copies! I was a terror in typing class, but I'm glad that I eventually learned to type, even if I'm not the fastest typist. I learned a wide variety of things, and now it all makes sense, because it all came together in blogging. Enjoy your "weekend!" Trust me, Adam! You haven't missed anything. I don't know of anyone who actually liked carbon paper. It was a necessary evil. I hope that you enjoy your weekend with Daisy! Greetings Louise. I've had the Flu, so haven't felt like doing anything for a while! We are getting plenty of snow. I enjoyed reading your piece on your Father's experience with the authorities on gaining or losing employment. He did well and needn't have worried so much. Being away a third of his time must have been worrying for you and your family, especially with there being so many fatalities with plane accidents. Blessings to you. Hi, Andrew! I'm sorry to hear that you've had the flu. I hope that you are feeling better. No snow where I am, but lots of grey skies and rain. Finally we're getting a weather forecast with a hope for sunshine! I'm glad that you enjoyed my post! Thanks for the continued encouragement! OH, carbon paper, a blast from the past. I had to do my lesson plans using carbon paper for the principal's copy. What a good choice they made for someone to be a supervisor! Your dad is perfect for that job. He has so much experience and wisdom to impart and is a good problem solver. He reminds me of a mentor I had who was my next door neighbor when I was in elementary school, my methods teacher when I was in college, and a great friend who encouraged me to go back to college when I had to quit due to my parent's head on collision where my mother had a severe head injury.He had that same love of learning and teaching that your dad had. I love this evolving story. Thanks for your kind words about my father! How fortunate you were to have an encouraging mentor who got you back into college. Just think of all those kiddos who would have missed out on having you as a teacher! Not to mention all the other things that came about with your going back to college. How devastating that car accident must have been for your family. Sending you a big hug! The shortest interview of all.Yes, parents tend to keep bad "stuff" from the children, but that is all a huge part of life and learning. For me, it was watching a cow with a really difficult calving time. As always, I love the letters, and wish now I had kept the ones from my Mum so many years ago. Keep enjoying the days wherever you are. Thanks, Jean! As you can tell from the slowness of my reply, I have been busy! Right now I'm in the Apple store working on a photo projects which involves a lot of uploading photos to the cloud, so I'm doing a little catching up on Blogger. I hope all is well with you and Hugh. How's your new little kitty doing? I'm going to get around as much as I can while I'm at Apple. All is well here. We have sunshine and trade winds today ~ Yay! Sending you and Huge hugs and love! Your dad was good with writing all the time! Just thinking about $7000.00 for a salary! Boy have things changed!! I haven't been to North Bay in such a long time! Maybe I should take a drive this summer! As always, loved reading everything! Your parents were great at keeping their worries away from you! Big Hugs! Big hugs back at you, Stacy! Thanks for your kind words! I'm glad that you enjoyed my post. It is amazing to think that a man could support his family of a wife and five children on $7,000 a year ~ and that was an increase in salary. I wonder what people will need in another fifty years. 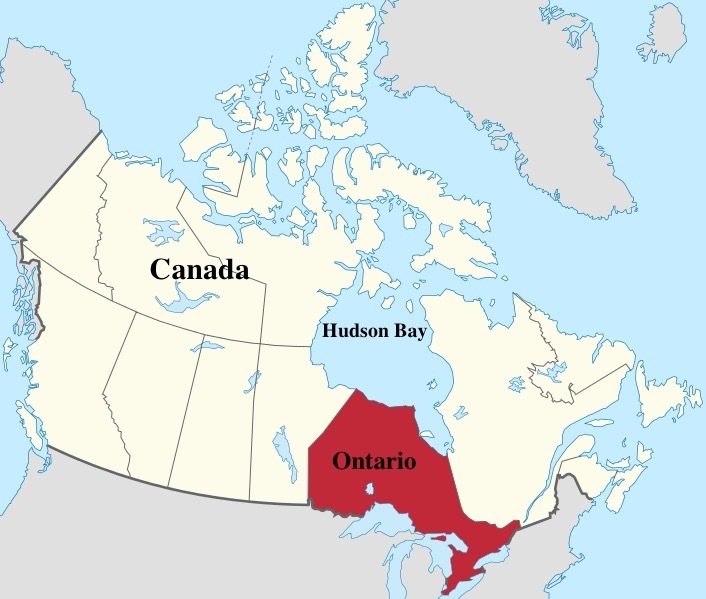 I haven't been driving in Ontario since 1978. Ontario seems to go on and on forever when you're driving through it. Sending you hugs and love! HEHE...love the shortest interview ever :) I wish it was that easy! Very exciting developments for your father. Looking forward to the next installment. Thanks, Martha! I'll be getting around as quickly as I can. I'm mostly on line in the Apple store. Life always has its little problems ~ LOL I hope all is well with you! oh such nervousness took my breath away when i went for my first interview dear Louise! i can imagine how must your father have felt while being on this trip ! Hi, Baili! Interviews are always nerve-racking, aren't they? I hope job interviews are behind me for good! LOL I'm in Honolulu, and I've had some challenges getting online. I'm here at the Apple Store on Waikiki. I working on a huge photo project, but while my photos are uploading to the cloud, I can get online. I've almost given up on my hotel's internet service. I hope all is well with you and your family! I'll get by as quickly as I can. Sending you a big hug!